3 Bedroom Semi Detached House For Sale in Sheffield for Guide Price £115,000. Offering no upward chain and off possible interest to a young couple or first time buyer who can bring some further energy to the property. 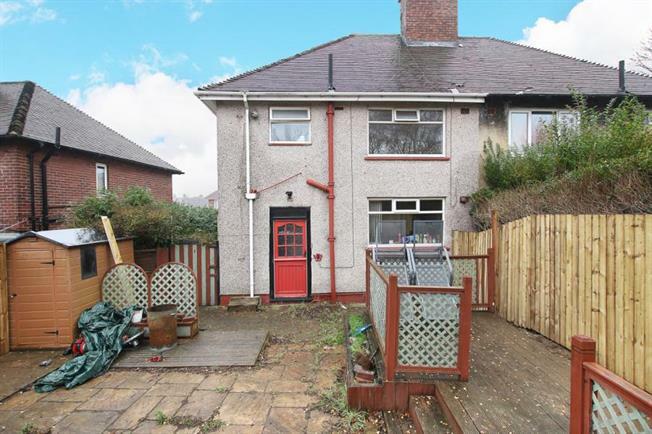 Offering an opportunity to continue where the previous buyer has started is this three bedroom semi detached house offering bags of potential. The house has gardens with new fencing to the rear, driveway for off road parking and recently replastered walls inside. Accommodation comprises ,entrance hallway, lounge, dining kitchen, rear lobby, three bedrooms, bathroom. An internal inspection is required to see the works to be completed of this spacious semi detached house. Located close to the local shops, supermarkets and schools.